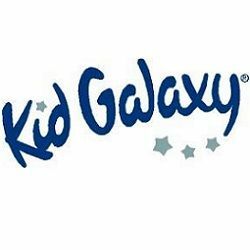 Kid Galaxy is dedicated to providing innovative, durable, and safe toys at affordable prices. They design and develop products that encourage creativity, discovery and endless hours of engaging play. Their award-winning brands include Morphibians amphibious R/C vehicles, My First RC preschool toys, Interactive RC competitive radio control toys, Elite Fleet powered and R/C planes, and Little Universe toddler toys.